Get the more out of Joomla! We provide hands on training that guarantee's you will know what you're doing when the time comes to do it yourself. 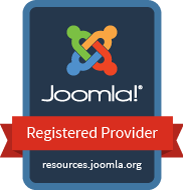 Our trainers include Joomla! Certified Administrators & all trainers have at least 5 years hands on Joomla! experience. We run classroom courses through out Asia & Oceania. We can even come to your & train all your staff at once. Our training is always hands on. Using a blank site or a copy of your own we teach you how to do it, not how its done. Free online webinars for helpfull advice on running a Joomla! site. Includes Q&A so you can get the answers you need. We also offer training on Joomla! development. Get your dev team up to speed on Joomla architecture and dev principles. We run pre-certification courses that will enable you to set yourself apart from the rest.